Loyalist Maj. Patrick Ferguson and sixty American Volunteers marched to Haddrell’s Point to attack a small fort that stood on a causeway that led to Fort Moultrie. The fort, about 150 yards from the mainland, was defended by Capt. John Williams and twenty soldiers of the South Carolina 1st Regiment. The British took the fort while the cannons from Fort Moultrie fired on them until dark. The British soon fortified the fort for a possible attack. we were going to have a war and fight the white people … those that did not join must be regarded as an enemy and put to death. Who made you – God – and then aren’t you just as good as your master, if God made him & you, aren’t you as free? Ned Bennett: A trusted and loved slave in the household of Governor Thomas Bennett who lived at 19 Lynch Street (now Ashley Avenue), less than three blocks from Denmark’s home. On the night of the revolt, Ned’s job was to seize the State Arsenal and distribute the weapons, which included more than 200 muskets, bayonets and swords. Rolla Bennett: Also a slave in service of Governor Bennett. Although Rolla admitted that governor treated him like a son, he volunteered to murder his master and his family on the night of the rebellion. Batteau Bennett: Yet another trusted slave in the house of the governor. Batteau claimed he would rather murder his master or die violently resisting than continue his life as a privileged slave. Monday Gell: Monday’s master, John Gell, owned a livery stable at 127 Church Street and regarded his slave as intelligent and dependable. Monday was an excellent harness maker and his master hired him out to a shop on Meeting street, letting his slave keep a portion of the earnings for himself. Bacchus Hammett: An early and eager convert to Denmark’s vision. He stole a keg of gunpowder which was hidden for weeks at Denmark’s house. 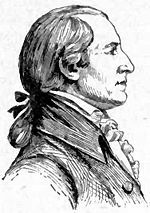 Thomas Tudor Tucker, a Charleston native, died in office as the Treasurer of the United States, a position he held for 26 years. He also was President James Madison’s personal physician. Hurtig was a booking agent on Broadway. He had seen a production of Uncle Tom’s Cabin in which the Jenkins Orphanage Band played a role. Hurtig was quick to realize the band’s commerical potential. He was also responsible for supplying American acts for Anglo-American Exposition, scheduled to be held in London, and he thought the Jenkins Bands would be a major draw. Jenkins Orphanage Band at the Anglo-American Expo in London. Hurtig offered Rev. Jenkins a contract that paid $100 a week for a ten-week engagement, in addition to new uniforms for the band, all transportation and board for the band and caretakers. Jenkins agreed immediately. He was smart enough to bring more than just “young boys” to the Expo. 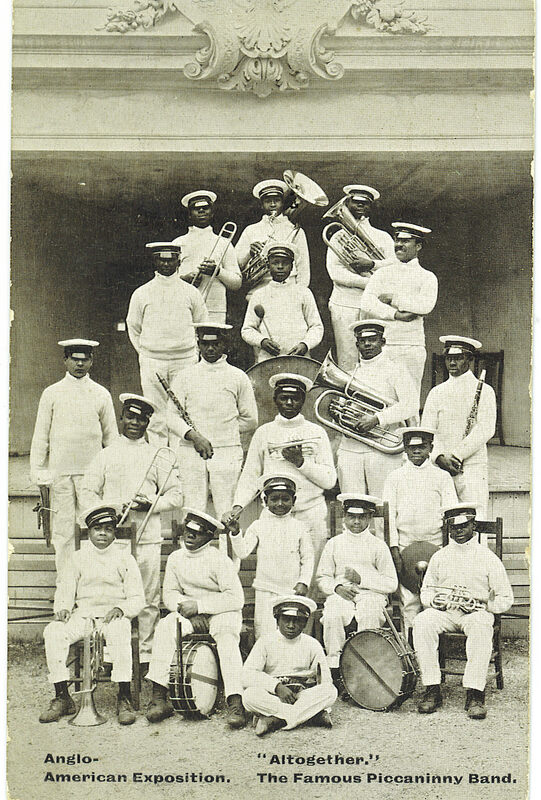 The band would be performing a rigorous five hour program each day in London, on a regular stage in front of thousands of people, so Jenkins decided to bring several of his older, more accomplished and seasoned players in their late teens. He recognized that this was the most significant opportunity for the Jenkins Band to prove they were a serious musical entity. 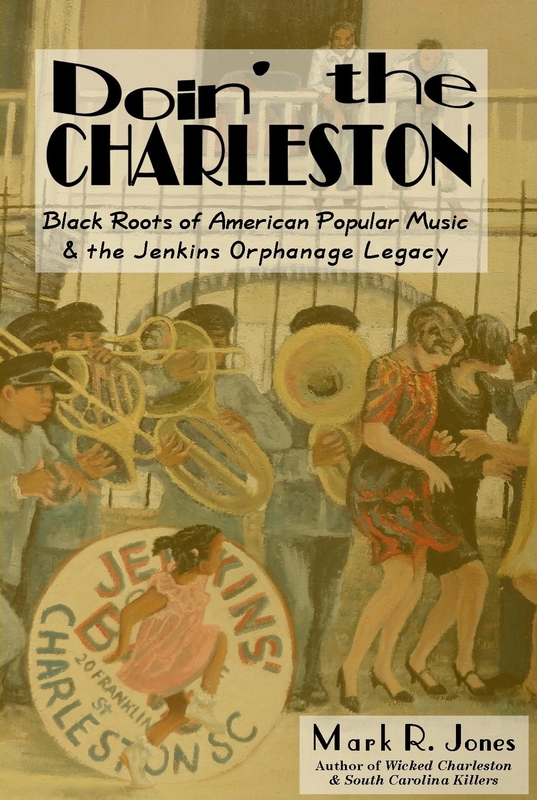 For the entire story of the Jenkins Orphanage Band history, read Doin’ The Charleston. This entry was posted in Black History, Today In Charleston History, Today In History, Today In South Carolina History and tagged Denmark Vesey, Eliza Lucas Pinckney, Rev. Daniel Jenkins, Thomas Tudor Tucker. Bookmark the permalink. Which house on State St. was the Pinckney house? I have no idea where it would have been. Wherever it was, it was most likely destroyed by the 1796 fire that burned kost of the structures on State St.